Is Building as Usual still a sustainable, responsible option? Buildings represent a critical piece of any global low-carbon future. Business Briefings on the Latest Climate Science is a highly readable series of briefings from CISL* at University of Cambridge, born of the belief that many sectors, including the building sector, could make more use of The Intergovernmental Panel on Climate Change (IPCC) Fifth Assessment Report (AR5)**, which is long and highly technical, if it were distilled into an accurate, accessible, timely, relevant and readable summary. The briefing can be downloaded here, and of particular interest is the warning of doing nothing, too little or too late that will severely impact and comprise future generations for decades, locking in many of problems we are seeking to eradicate. The longevity of buildings presents the risk of energy performance ‘lock-in’ whereby today’s sluggish ambition confers a legacy of less than optimal buildings to future generations. performance standards in all buildings. Radical change within the building sector requires aggressive and sustained policies and actions across the design, construction, and operation of buildings and their equipment. ** The Intergovernmental Panel on Climate Change (IPCC) Fifth Assessment Report (AR5) concluded that climate change is unequivocal, and that human activities, particularly emissions of carbon dioxide, are very likely to be the dominant cause. 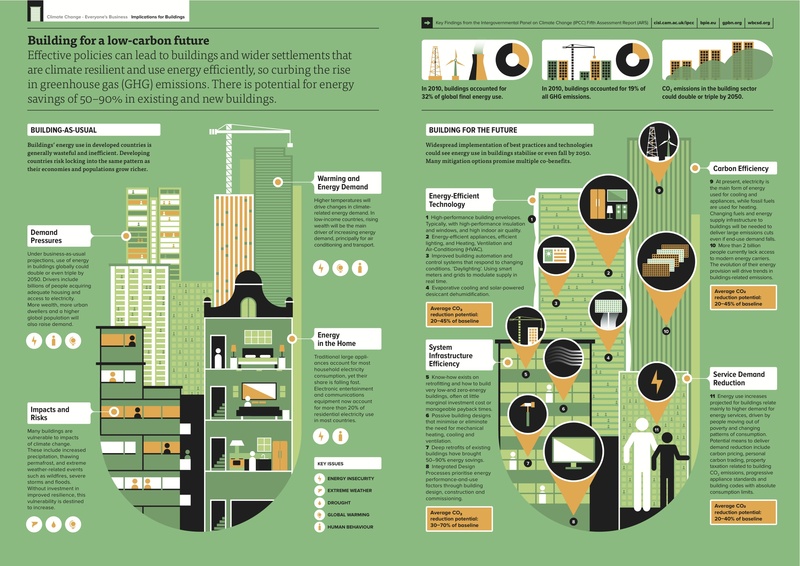 This entry was posted in sustainability and tagged built environment, CISL, Climate Change, Infographic, Intergovernmental Panel on Climate Change, IPCC, sustainability on September 29, 2014 by martin brown. We are currently preparing the fist UK Living Building Challenge newsletter with exciting news, events, workshops, client interest and possibly the first UK registered LBC project! To ensure you receive a copy follow @UK_LBC on twitter, leave a comment here or email us. This entry was posted in comment and tagged Infographic, Living Building Challenge, Living Building Challenge UK Collaborative, Skanska on June 10, 2013 by martin brown. Also interesting to note how many are of these are Green Deal measures and how many behaviour measures, indicating we get greater CO2 and energy reductions through lifestyle choices? 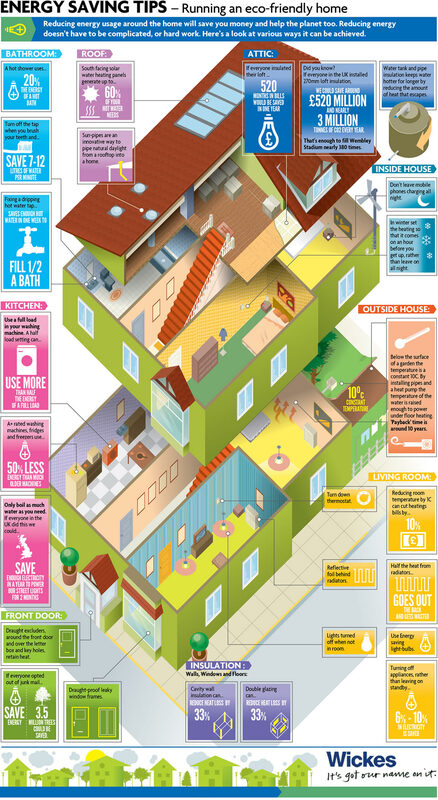 This entry was posted in comment and tagged behaviour, co2, Eco Home, Green Deal, Infographic, Wickes on February 12, 2012 by martin brown.